There are a number of properties in Ipswich that have Mining Influence. This seems to be frighten a lot of people, but quite unnecessarily I believe. Historically, Ipswich is an old mining town and remnants can still be seen around the area today. The only active mining in the area now is on the outskirts of Rosewood, some distance away. As part of due diligence with any prospective property looking to build a Granny Flat, you would first need to determine if there is mining influence on the property. If there is, you would need to obtain a Geotechnical Report to qualify what can and can’t be built on the site. 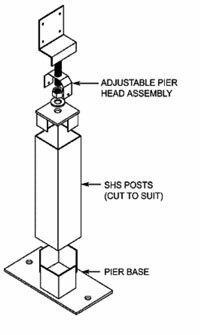 In most instances, from a residential building point of view, all it means you can’t build a ‘slab on ground’ construction, but you can build on stumps (piers). South East Queensland is renowned for termite activity. Concrete slab construction can be more vulnerable to termite attack and more expensive to protect with chemical or barriers such as ‘Termimesh’ etc. Careful detailing and construction of the slab is essential. Construction on piers (stumps), only need ant cap protection on the top of each pier. After the 2011 floods of SE Queensland, there are now a number of properties in the local Ipswich area that are affected by a Temporary Flood Line determined by the Ipswich Council. Other water issues to be mindful of, are, 1 in 20 flood line, 1 in 100 flood line or Stormwater Overland Flow. In these instances (bar the Stormwater Overland Flow), you would need to build 500mm above the flood line, and pier construction is the only option. No infill between the piers is allowed, so that future flood waters are allowed to flow through the structure. It would be wise in these circumstances to talk to Town Planning or the Private Certifier prior to any purchase of a property that is solely to be used for investment purposes to build a Granny Flat. If the land is level, a slab is usually the best option. If the land has some slope on it, then pier construction is the preference. It avoids excavation and the need for retaining walls. Ipswich City Council’s Planning Scheme describes setbacks in relation to building heights. If for instance you had piers that brought the Granny Flat to a second storey height, there is a slight increase to your boundary setbacks. It may also affect the placement of windows on a particular side ie minimum window if you are overlooking the existing house or neighbour’s property. Slab construction is generally cheaper from a building point of view, rather than piering. On a block with some slope where a cut and fill operation maybe necessary, it might be cheaper in this instance to do piers instead. It would be dependent on each individual property and the slope on it. We would determine fairly early on from our initial site inspection what would be the preferred way to go. Raised floor levels could mean more exposure to neighbours as well as additional costs such timber flooring and underfloor insulation. Building on piers would require additional stairs, ramps, landings and balustrades – which are often prohibitive for people with disabilities. Concrete slab construction is more conducive to easy Disabled Access. Some people prefer to have lowset, slab on ground foundations, as this is the norm in their mind. If you have moved from an area where brick veneer construction is the accepted norm, then you may want the same. Yet others prefer the look of piers over concrete slabs, as this suits many older areas in Ipswich. Piers can be dressed up with infill timber slats, which complement the character look of a property. It really comes down to personal preference. 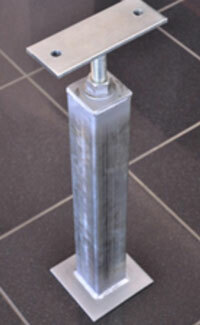 Piers can be either brick, timber or more commonly used here in Ipswich – steel adjustment stumps because of the highly reactive soil types in the local area. 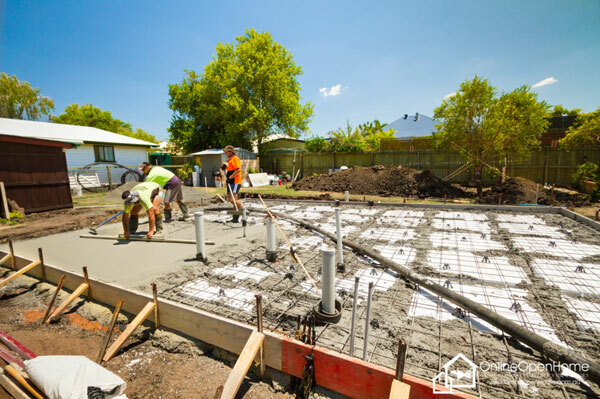 In most instances we build concrete slab on ground for our foundations, but is dependent on each site with it’s own percularities. With our free onsite inspections, having already done our due diligence – we can determine fairly quickly which is the best way to go ! So book your Free Onsite Inspection Now – Call Sonia 0403 309 136 !